Social Process in Hawaii is a publication of University of Hawaii's Department of Sociology. Two special issues of Social Process in Hawaii have been devoted to the Filipino experience in Hawaii are available here to view or download as PDF files. Both volumes are currently out of print. All materials here are copyrighted and should be properly cited when used. 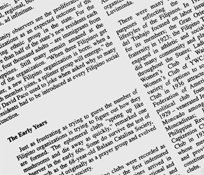 Volume 33, The Filipino American Experience in Hawaii (1991), was prepared and published in commemoration of the 85th anniversary of Filipino immigration to Hawaii. Executive editor was Kiyoshi Ikeda and general editor was Michael G. Weinstein, both of the UHM sociology department. Guest editors were Jonathan Y. Okamura, Amefil R. Agbayani and Melinda Tria Kerkvliet. 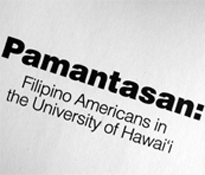 Volume 37, Filipino American History: Identity and Community in Hawaii (1996), was prepared and published in commemoration of the 90th anniversary of Filipino immigration to Hawaii. Executive and general editors remained, respectively, Kiyoshi Ikeda and Michael G. Weinstein. Guest editor was Jonathan Y. Okamura.